At the onset of Governor Sang’s administration, he pledged to prioritize the improvement of health services and increase access to quality health care. 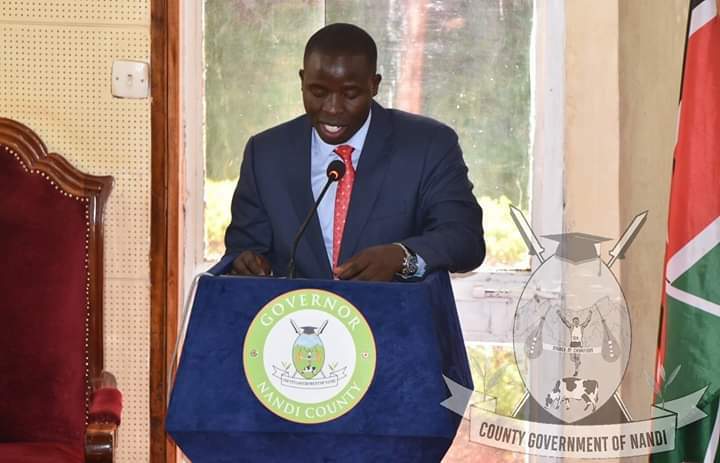 In his address to the County Assembly, Governor Stephen Sang outlined health as one of the key accomplishments that the County Government has achieved in the last two years. 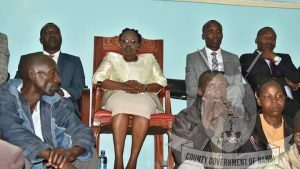 Governor Sang said that the county had performed exemplary well in all the health indicators and reiterated his government’s commitment in providing quality, accessible and affordable health care to Nandi residents. 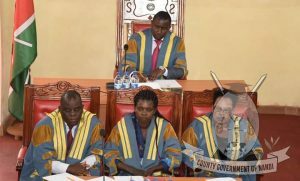 While giving the state of the county address at the Nandi County Assembly the governor said his administration has ensured constant supply of drugs and other medical supplies and patients are now being treated in health centers within their localities relieving pressure from the Kapsabet County Referral Hospital. At the same time, Dialysis and MRI services are now available at the Kapsabet Referral Hospital. This has greatly reduced the distance patients from Nandi had to cover to access these crucial services. Additionally, the governor said that the construction of a new theatre is complete and the installation of a CT Scan is ongoing and will be operationalized in the next three weeks. He noted that an oxygen plant at the Kapsabet County Referral Hospital will be installed in a week’s time. Patients in critical conditions and the children’s ward will now have oxygen supply by their bedsides. This will reduce deaths brought about by respiratory complications and lack of oxygen for other critical medical procedures. The governor mentioned that an additional theatre is almost complete at the Nandi Hills Sub County Hospital, this will ease access of services. The expansion of the Out-Patient Department (OPD) to increase space for consultation services is also ongoing. Sang said that power upgrade and standby generator at both Kapsabet and Nandi Hills hospitals are now fully operational. 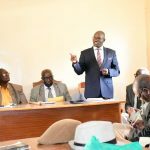 This therefore means the frequent interruption of service provision due constant power blackouts in the two facilities is now a thing of the past. 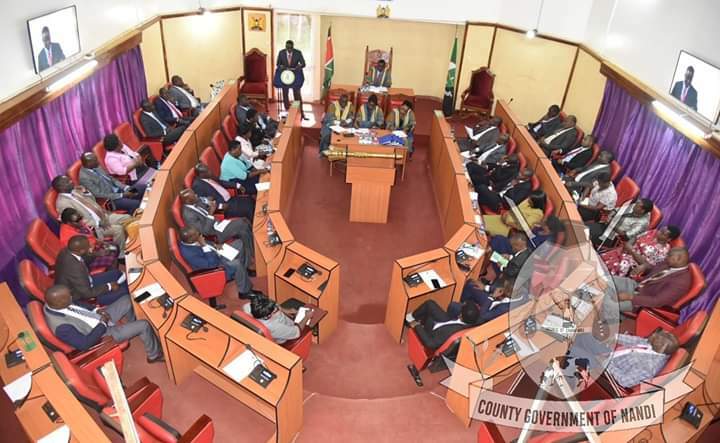 The county boss attributed the improved health services to both infrastructural and personnel development saying that his government is renovating over 70 facilities across the county; this include health centers and dispensaries. This is meant to bring healthcare services closer to the people. 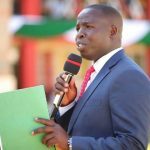 To further increase access to healthcare services by Nandi residents, he said his government has advertised for a Mother and Child Hospital at KCRH, an Out Patient Department in Nandi Hills and at Chepterwai Sub County Hospital. At the same time, the expansion of Kabiyet, Kobujoi, Mosoriot and Meteitei Hospitals is now under procurement. 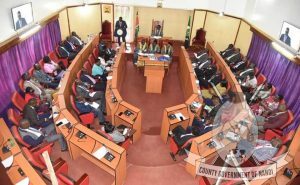 He said that that the county government has so far employed 10 Medical Officers, 2 Specialists, 60 Clinical Officers and 50 Nurses. The governor also disclosed that ambulance services had been revamped noting that the county government has procured 10 ICU-type ambulances that will be fully equipped to offer critical care to patients while on transit. 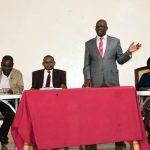 Governor Sang said that there is a continued dialogue and progressive implementation of the CBA that has ensured healthcare services remain uninterrupted in health facilities, which is not the case in many counties across the Nation. He thanked all cadres of staff in the health sector for their continued support in delivering quality services to our people. Evidently, the County Government of Nandi is on the path to achieving universal health care.